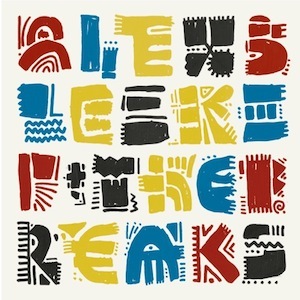 It’s a match made in heaven for Alex Bleeker And The Freaks and Woodsist Records. How Far Away, his second LP, is a testimony to the label’s dusted 60’s nugget vibe. “Strangers on a train/cannot explain the way I feel” perfectly encapsulates lead track “Don’t Look Down,” and like an old Polaroid, after a few listens, the album develops into something more evident than first listens would indicate. The sly songwriting unveils a series of snapshots of a relationship in its later stages, but it’s more matter of fact than mournful. The LP finds its strongest footing in the middle with the country-fried “Leave On The Light.” “Who Are You Seeing?” ambles along, before a sweeping guitar solo carries the song out. “Rhythm Shakers” locks into an airy groove that finds a grace worthy of Kurt Vile. “Steve’s Theme” works a minor key riff to great effect, and is its own kind of earworm. Simplicity and brevity are the keys here, and repeated listenings reveal the charm under the modest surface. Look for Alex Bleeker on the road at this year’s Woodsist Festival in Big Sur.